Norwegian 737 MAX-8 EI-FYD (42828/6408) landing on a wet runway 25 at Belfast from Newburgh, 24/10/2017. 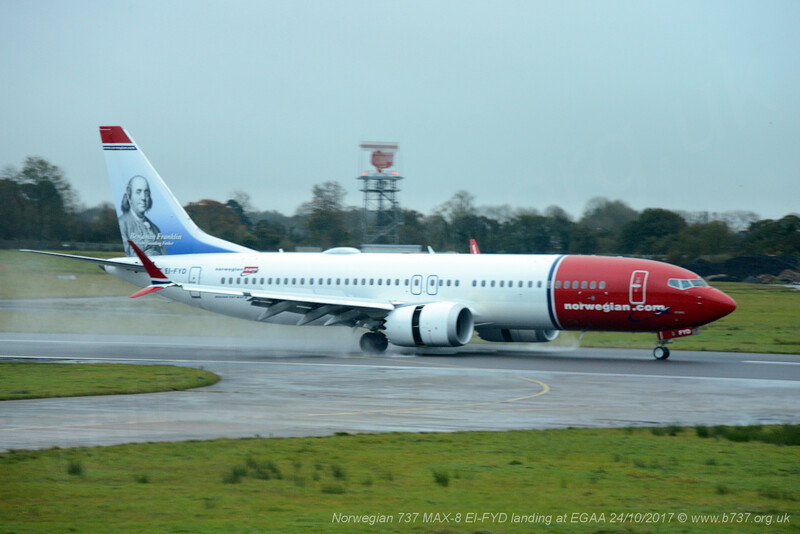 This aircraft is the first Norwegian aircraft with an American on its tailfin. The inventor and statesman, Benjamin Franklin, who was often called the “first American” because of his tireless campaigning to unify the colonies. Norwegian are using the MAX on their new transatlantic routes from Edinburgh, Belfast, Cork, Shannon and Dublin to the US East Coast. The new aircraft is Norwegian’s fourth Boeing 737 MAX aircraft this year. 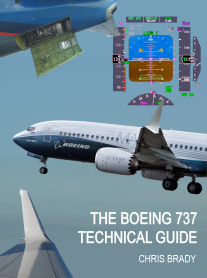 In total, Norwegian will take delivery of two additional Boeing 737 MAX aircraft from the 110 it has on order. The airline operates one of the world’s youngest all 737 fleets with an average age of just 3.6 years.